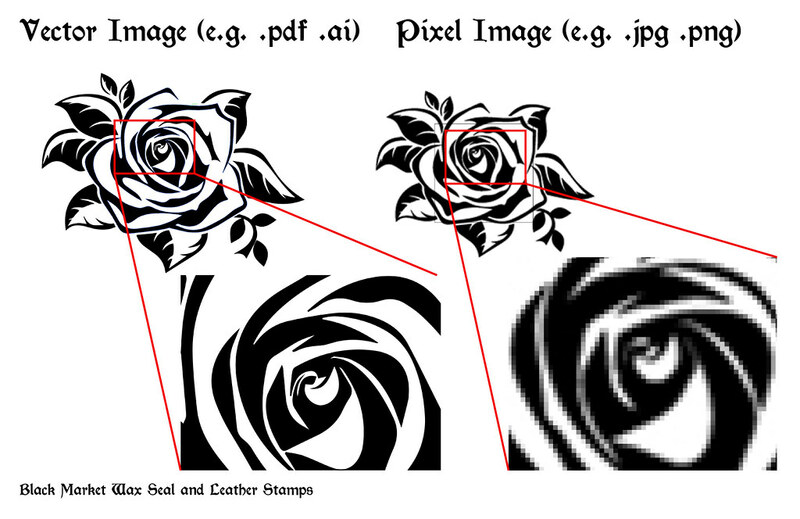 This gets somewhat technical, but it’s important to know the difference between vector images and bitmap images and to know where to use which one for the best results. Have a look at the image to the right. The first column shows what happens to a vector image when stretched to a different size. No matter how big you stretch a vector file the outlines stay crisp. By contrast the next column shows how terrible a bitmap looks when you stretch it. Bitmap images are made up of pixels, so stretching it forces the computer to stretch the pixels, which is why you see the pixels (blocks) clearly in the bottom one. Seriously though, those are the folks who only have their logo in bitmap format. Bitmap is not ideal for printing. If you print it small enough it will look ok, but bitmaps are not practical for banners, billboards, sign writing etc. That said, the bitmap format is not the image format from hell! We need bitmaps because our web sites need them. All images that you see on the web are bitmaps. GIF: Good for logos and images with limited colors. Supports transparency. PNG: Good for logos and photos. Supports transparency. Next How to install leather stamp into soldering iron?